John is our fully qualified orthodontist. He qualified as a dentist from University College Cork in 1997. Following this he worked for two years in general practice in England. In 1999 he returned to Ireland to work for the HSE in Ballinteer, Dublin for three years. During this time he obtained a Diploma in Clinical Dentistry from Trinity College Dublin (2002) and Membership in the Faculty of Dentistry from the Royal College of Surgeons Ireland (2002). Following this he was accepted onto a three year full-time postgraduate programme in Orthodontics at Guys Hospital London, which he completed in 2005 obtaining a Masters in Orthodontics from University of London (2005) and Membership in Orthodontics from the Royal College of Surgeons Edinburgh (2005). On returning to Ireland in 2005 John took up a position as an Orthodontist in the Orthodontic Department at St. James Hospital where he still currently works one day a week. 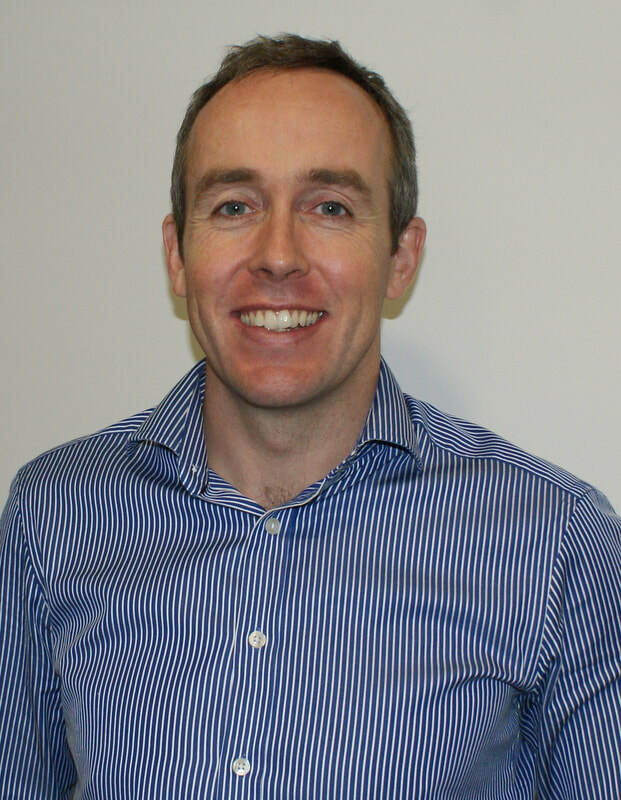 John is a registered member of the Orthodontic Society of Ireland and the Irish Dental Association. John and his wife Isobell opened Rathfarnham Orthodontic Practice in May 2009. Isobell Linnane qualified as a hygienist from University College Cork in 2004 following her Dental Nursing Certification from Dublin Dental Hospital in 2000. Her experience working with oncological / haematological, cleft lip and palate cases etc. in Our Lady’s Hospital Crumlin, is an indication of her professional, but gentle manner with patients. Isobell has also been on the teaching staff in the Hygienist School in Dublin Dental Hospital. Isobell has many patients who attend the practice just to be treated by her, so whether you are thinking of orthodontic treatment or not, you can make a hygiene appointment for a check-up, clean and polish. Leonie graduated with a distinction in Dental Nursing from Trinity in 2006, and has an extensive CV with a wealth of experience in all disciplines within the dental field. Leonie also holds a degree in social science from the Dublin Business School, in her spare time she volunteers with teenagers with special needs. We are very lucky to have Leonie as a staff member with her knowledge, experience and her pleasant manner which is a delight to all of our patients. Deirdre completed her training in Trinity college Dublin with a certificate in Dental Nursing. She is interested in all aspects of general and specialised dentistry. Deirdre joined the practice in September 2018 and has settled in very well with staff and patients.